I have read Little Women by Louisa May Alcott many times. It’s one of those books that I keep going back to over and over. I love the characters and the relationships in the story. Although it’s a sad story, I never leave the book feeling depressed or distraught. The overarching theme is inspiring and uplifting. Family and friendships are important. Everyone is different and has her own goals and dreams. We all make mistakes, but that is how we grow and learn. Is is possible for a movie to capture those feelings without becoming too cheesy? Could an adaptation ever do the book justice? 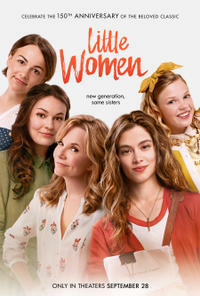 Find out in my review of the Little Women movie. 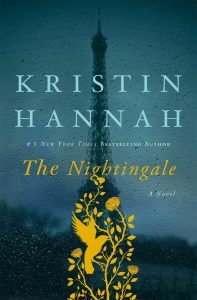 Fans of Louisa May Alcott’s timeless classic, Little Women, will love the modern retelling of the timeless family story. As I previously stated, Little Women is one of my all-time favorite books. 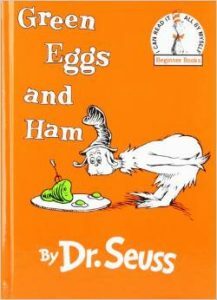 I’ve read it many times throughout my life; I read it a few times in my youth, and I’ve read it every few years since. It never gets old. I love the writing, the characters, the story, and i love the feelings and relationships portrayed in the book. Wow! I had high expectations for this movie! I was so excited to be invited to the premiere event! I’ve never been to anything like that, but it was very fun. I went with my mom, and we ended up having great seats. We sat behind all the older sister actresses (there were also darling actresses that played the sisters when they were younger). After the movie was over, some of the cast and crew did a question and answer session, and I enjoyed that as well. It was fun to hear about their experiences. So did the movie live up to my expectations? I have to admit that I was skeptical when I found out that it was an adaptation, but I think it turned out to be a good thing. If you try and recreate the original, you’re going to have a hard time meeting expectations, but if you go with an adaptation, it’s different. As a reader (or viewer), you know it’s going to be a little different, so you’re not expecting the original, if that makes sense. I thought they did an excellent job of bringing the story into the 21st century and yet staying true to the story. The script was well written and did stay true to the original story. I thought the actresses and actors were well chosen and did a great job. A friend told me that she thought Jo was over-acted and cheesy, but I disagree. In my mind, Jo is a dramatic person. It is all about her, and she isn’t afraid to let everyone know that. Jo kind of over-acts her own life, I think, and so I thought the actress did a good job of capturing her essence. I thought the other characters also did a good job portraying the sisters and family members. Each one showed the qualities and characteristics that I have come to love in each of the sisters. The sets and scenery were beautiful! My favorite place was the attic room that the sisters shared. I want that attic in my house! It is amazing. It’s almost exactly how I pictured it. And the girls’ castles were darling. I was a bit skeptical at the beginning of the movie, but by the end it had turned into just a cute film. It is a little cheesy, but so is the book. I mean, it’s all about their lives and their dreams. The girls love to act out plays in the attic, they have their Pickwick club where they tell their grievances, and anything like that nowadays will seem a bit cheesy on film. This movie is way better than a Hallmark film. I really liked it. I loved the emotion and the feelings because they do feel just like the book does. It’s most likely a girls night out movie; my husband probably wouldn’t want to go see it. I’d say go see it, though! It’s a cute show, and if you like the book then you’ll enjoy the movie! 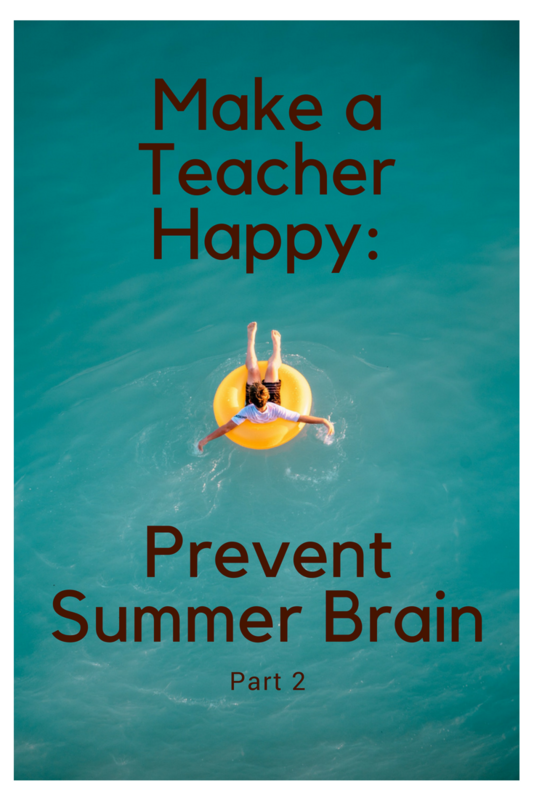 Make a Teacher Happy: Prevent Summer Brain (Part 2)! Yay for summer! The kids get to wake up early, do chores, and read for hours. Then they have time to work on their science fair projects for the upcoming school year. After that they read some more, and then they help with dinner, laundry, and yard work without complaint. Hmmmm……maybe in a fairy tale land! If your family is like most families, this isn’t even close! Many kids don’t pick up a book the whole summer (gasp!). By the time school rolls around, they have forgotten much of what they worked so hard on the previous school year. This is called SUMMER BRAIN. Let’s prevent summer brain this summer! How do we prevent summer brain? Yep, simple as that. Kids need to read at least 20 min each day. My kids read 30 min each day. Go to the library and get lots of books. Or go to the bookstore and let them pick out one new book. Have them pick a book from each genre. Try out an audio book. Have a neighborhood book swap (more on this coming soon…). Or start a neighborhood Book Club! Make reading fun! Read outside, inside, at the park, or in a tent. And for sure, download my monthly summer Reading Challenge! Click here to download June’s BINGO challenge! I know, I’m the meanest mom because I make my kids do homework throughout the summer! I’ve had my kids doing summer homework since preschool, so they just expect it now. It might be a hard adjustment if you’re starting in 4th or 5th grade, but it’s ok, they’ll get used to it. I’ve tried a bunch of different things. I’ve used workbooks, I’ve printed off my own weekly packets, and I’ve tried online programs. The Summer Fit Workbooks are a great way to go, and no prep work! They have a page of math and a page of reading every day, along with an exercise. I’ve used them for many years and like them a lot. For online learning, you can’t beat the Khan Academy. I have had my kids do their math programs throughout the summer, and it works great! They also have lessons for many other subjects. Math-Drills.com is the best place to print math practice sheets. Super Teacher Worksheets has some fun printable worksheets for math, social studies, language arts, and science. The only problem is that only a few of the resources are free. I’ve used most of the free ones, I think. Spelling Words Well is great for printing all things spelling. Mr. Nussbaum is one of my favorite places to find reading comprehension worksheets. You print out the story and the comprehension questions that go along with it. This is also one of my favorite sites for online educational practice. He has so many resources!! I love his site and use it all the time. If you are looking for online educational games and activities, there are so many great resources! PBS Kids is always fun! I know this one is difficult! My rule is no more than one hour per day. It’s rough sometimes, but it’s doable. And I do fudge it sometimes. If they don’t use any screen time for a couple of days, and want an extra hour the next day, I’m fine with that. I’ve seen examples of parents not giving out the wi-fi password until reading, homework, and daily chore is done for the day. I think that’s a great idea! Or, if they have friends over and have been outside for hours then want to watch a movie, I’m fine with that too. Of course, the online games I just posted count as screen time; the Khan academy would not count as screen time for me because it’s their math homework. Haha! This one is a mom’s best friend! My kids also need to do their daily chore before they can play. (I know! I’m so mean!) Divide up the chores however you want. Some days are super quick and other days I make them work harder. Even just getting out and having fun is better for the brain than watching tv or playing video games! This Summer Calendar is so cute and is a great way to organize fun activities. Click here for this fun Freebie Summer Bucket List! I hope this helps!!! Let’s prevent summer brain this year and send our kids back to school prepared and on track to learn! Do you have any resources that I missed? Or have questions on how I get my kids to do all this? Email me! 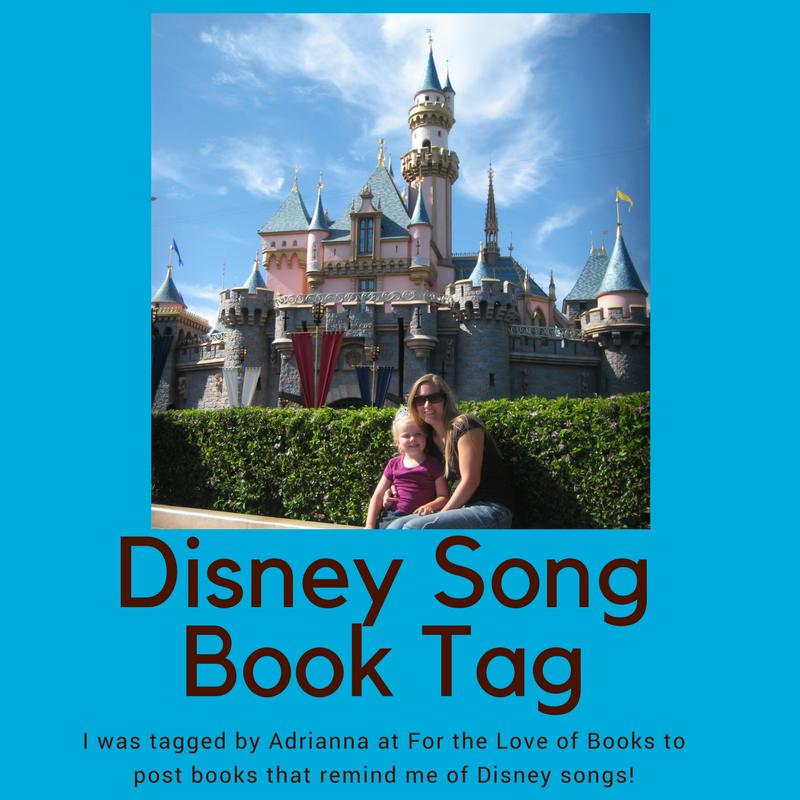 A huge Thank You to Adrianna at For the Love of Books for tagging me! 1. A Whole New World: Pick a book that made you see the world differently. There are a few, but Nothing to Envy: Ordinary Lives in North Korea by Barbara Demick haunted me for a long time. Reading it spurred me to action; I began donating to a humanitarian fund after reading this book. 2. Cruella De Vil: Pick your favorite villian. That would definitely be The Bird from Unbroken by Laura Hillenbrand. That guy scared me when I read the book. He was evil. 3. I Won’t Say I’m in Love: Pick a book you didn’t want to admit you loved. Ummmm…..yeah……that would have to be Twilight by Stephenie Meyer. 4. Gaston: Pick a character that you couldn’t stand. Yeah, we’ll go back to Twilight. Bella drove me crazy! I loved her, but oh my gosh, make up your mind already! 5. Part of Your World: Pick a book set in a universe you wish you could live in. Harry Potter for sure! That would be awesome! The Adventurers Wanted universe would be a close second. 6. A Dream is a Wish Your Heart Makes: Describe what the book of your dreams would be like. Hmmmm…this one is hard! It would have a handsome hero, a little fantasy, a little romance, a strong female lead character, and lots of great writing. Haha! I say that, but my all-time favorite book is Les Mis, and that doesn’t have any fantasy in it. So I guess I’m flexible. Great writing is very important in my perfect book! 7. Someday My Prince Will Come: What book character would you marry if you could? Oh Man! Tough choice! (Blushing…) Rob from Susanna Kearsley’s The Firebird intrigued me. Many of Jane Austen’s leading men would also be on my list if I weren’t already happily married (20 years in a few months)!! 8. I See the Light: Pick a book that changed your life. Reading A Thousand Splendid Suns by Khaled Hosseini definitely took me out of my comfort zone and out of my naiveté. I’ve lived a very good, sheltered life, and this book definitely made me see the world differently. It made me count my blessings, for sure. 9. When You Wish Upon a Star: Pick a book you wish you could reread for the first time. Oh wow! So many! How do I choose? I’d have to say Anne of Green Gables by L.M. Montgomery. As a young woman I reread this series so many times! I loved every second of this series and would love to find that magic again for the first time. 10. I Just Can’t Wait to be King: Pick a book with some kind of monarchy in it. The Selection by Kiera Cass. It’s a fun, entertaining series. 11. Colors of the Wind: Pick a book with a beautiful cover. Fun! I loved the cover of Tiger’s Curse by Colleen Houck. The tiger is so beautiful! His eyes are mesmorizing. A huge thank you to Adrianna at For the Love Of Books for tagging me! I enjoyed the change of pace! March 2nd is Dr. Seuss’ Birthday! Theodor’s father wanted him to be a college professor, and so after Dartmouth he went to Oxford University in England. He became bored, though, and ended up touring Europe instead. While he was there he met Helen Palmer. They later married, and she became a children’s book author. When he returned home from Europe, he tried many different careers. At first he tried to be a cartoonist. He did publish a few things, but that career never took off. Then he ended up working for Standard Oil for 15 years creating their advertising campaigns. Towards the beginning of WWII, he began contributing political cartoons to PM Magazine. He also worked on creating training movies. After working on the illustrations for a collection of children’s sayings for Viking Press, which didn’t do well, he wrote the book And To Think That I Saw it On Mulberry Street. 27 publishers rejected it before Vanguard Press published it. 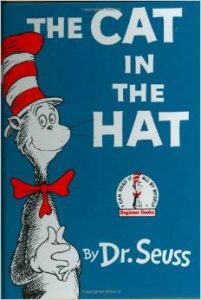 It was his next book, The Cat in the Hat, that really began his career. 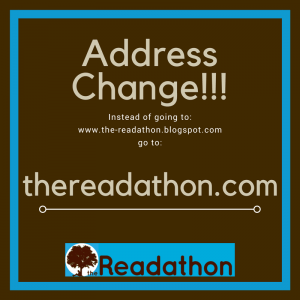 The project was a joint effort between Houghton-Mifflin and Random House, and they asked him to write a story using “only 225 ‘new-reader’ vocabulary words.”(1) Lucky for us, it worked! That began his career writing children’s books using the ‘new-reader’ words. 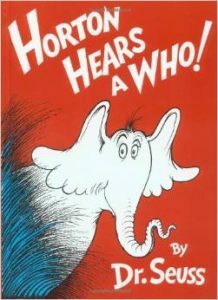 Our home library has many Dr. Seuss books in it, and they have been read many, many times! My children have loved them, and the kids I taught at school also loved them. 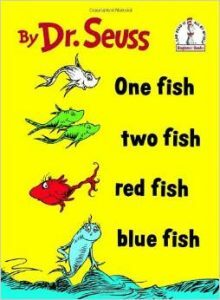 Dr. Seuss is beloved by many, and has contributed to my love of reading as well as my kids’ love of reading. 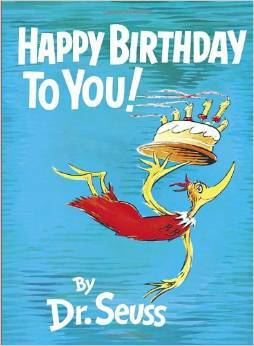 Thank you Dr. Seuss for your creativity, determination, and imagination! 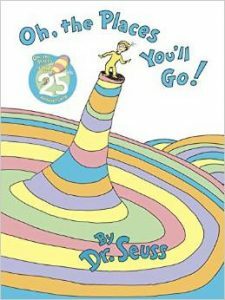 Here are some great links to Dr. Seuss information and activities!!! listen to the stories. Click the photo to go to the activity. Click on the above photo to find the Dr. Seuss cut and paste bingo! How fun to celebrate Dr. Seuss Day with a fun photo booth! Click on the image for the link. Everyone loves cootie catchers! Click on the above photo to make yours! This post was first published 3/2/17; updated on 3/2/18. Hi! I’m Monica. 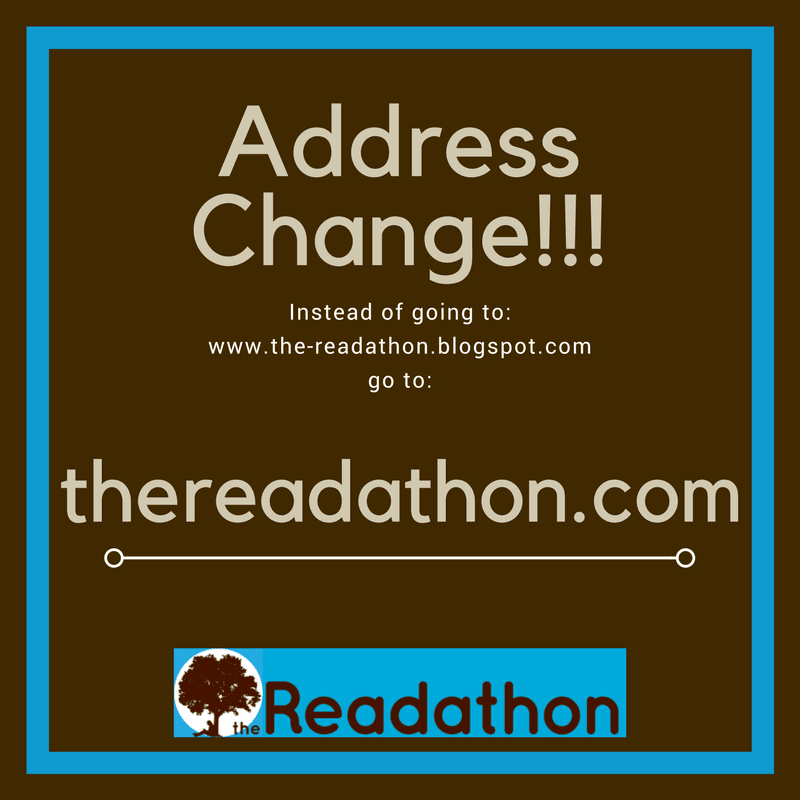 I’m the blogger here at TheReadathon. I wanted to take a few minutes and write out a little of my history and my blog story for you so you can get to know me a little better. You’ll see why I started book blogging in April of 2009. So, why book reviews, and why is this so important to me? This is my blog story. When I was way too young to read chapter books, I would beg my mom to let me read them. She did; because she’s awesome like that. When we’d go fishing as kids, all my siblings would get out their poles and fish, and I’d read; because I’m a nerd like that. My family loved to get together and cheer for the local NBA team or the fan favorite during the Super Bowl, and they enjoyed it; I’d read the whole time because I didn’t care about any of that stuff. I’ve loved books as long as I can remember. I cannot recall a time in my life when reading wasn’t a huge part of it. Well, I guess I can, but I’ll get there in a minute. During the summer I’d sit under the tree in my front yard and read for hours on end (hence my tree logo…). I love being taken away to another time or place, I love getting caught up in a story, I love seeing the world through different lenses, and I love learning new things. In school when we had to read a book as a class, I would get so frustrated because I just wanted to read the whole book. I didn’t want to read one chapter a week or whatever the assignment would be. So, I’d usually read the whole book and then go back with the class and read it again. I’d read whenever I had a spare second. High school and college were a bit more difficult because of the heavy coursework, but I still managed to find the time to read. I attended college to get my degree in elementary education. When I had one year left before graduation, my husband and I got married. We graduated the same day, which was fun. Right after graduating, I got a job teaching first grade, and he went on to get a masters degree. I taught for two years and then had my first baby. When I found out I was pregnant, I knew that I didn’t want to go back the next year. I couldn’t leave my baby, so I decided to stay home. Even though it was a difficult choice, I loved it! Two years later we had another baby boy, and even though two kids was kind of hard for me, I still loved being home with them. Having two little boys running around at home was the one time in my life that I really didn’t read. Every time I’d pick up a book, they’d see that my attention was elsewhere, and get into trouble. I always read to them, of course, but reading for me was almost non-existent. So, I stopped reading for awhile. Then one day I realized that this situation wasn’t helping any of us. They were just going to have to deal with it. It was good for them to see me read, and it was good for me to read. So I’d keep a book out and read a few pages at a time. Little by little they got better at allowing me to read. Now we have two daughters as well, and we have a great system going! 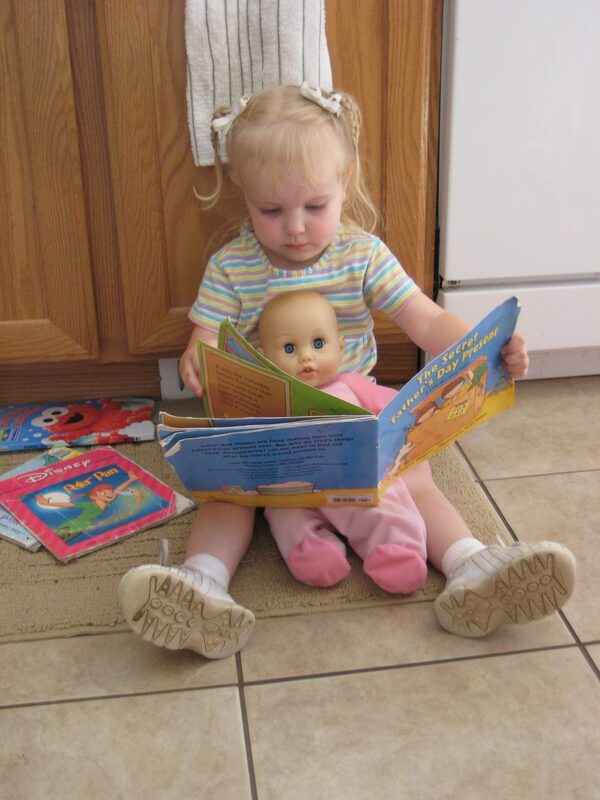 All four of my children love to read, and they read way more than I do; I love it! Oftentimes it’s me telling them to put the books down! Even though my sons are 16 and 14, they still enjoy sitting down and listening when I read at night. 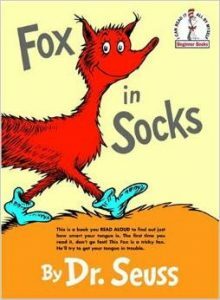 I’m very conservative with what I allow my children to watch and read, so my goal has always been to read books before they do so I know what’s in them. I did well for awhile, but there is no way I can keep up with the amount of time they spend reading now. In April of 2009 when I looked around for a website that had content ratings for books, I couldn’t find one. I wanted a place where I could go to look at the content of the books my kids wanted to read–before they read them. I wanted to know if there was profanity or violence or “intimacy” in the book before I handed it to them, and I couldn’t find that place. That is why I started my blog! I also saw too many children in my neighborhood reading books that I knew were not age appropriate for them, and I knew their moms did not know the content of that book; but I did. Consequently, I figured there were probably other moms just like me who didn’t have time to preview all the books their kids read, and there needed to be a place where they could go to preview a book (or see the content rating of the book) without reading it. It wasn’t just for my kids, though. I’d want to know for me too. I hate getting into a book and then finding that it is riddled with profanity or that it has “intimacy” scenes that are way too detailed and graphic. So that is why I review all sorts of books for all ages. I want my blog to be a place where every reader (or her parents) may come and find content info. on the books she would like to read. So What Makes My Book Reviews Different? On all my reviews you will see a content rating and an age recommendation. I tell you what kind of content is in the book and why I rated it the way I did. The age recommendation is also important because some books may be clean, but that doesn’t mean younger readers should read them. They might have heavier topics or themes. I’d Love To Review A Book For You! If you’d like me to review a specific book for you (you know the one your child is begging to read because “Everyone else is reading it!”), just fill out the form below (It’s also on my “Contact Us” page.) I’ll then add that book to my To Be Read pile and review it as soon as I can. First priority will be given to those who subscribe to my newsletter. Thanks for taking to the time to read my blog story! If you have any comments or suggestions, please email me. I’m always open to improving! I Don't See This Book Listed! Please Review It! This post was originally published on 8/6/16; updated on 2/26/18.